Quang Nam Power Company (PC Quang Nam) was established on April 1, 1997 as a member of Central Power Corporation (EVNCPC). 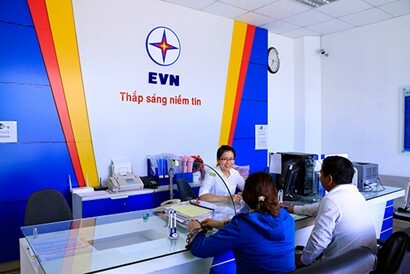 Over 21 years of construction and development, the company has actively fulfilled its task of supplying electricity for people’s livelihoods and business operations in Quang Nam province with rising safety, continuity, stability and quality. PC Quang Nam has importantly contributed to Quang Nam province’s socio-economic development, industrialisation and modernisation. From a poor province whose per capita electricity output was less than 70 kWh in 1997, Quang Nam province currently consumes over 1.6 billion kWh. To reach this achievement, PC Quang Nam has made continuous efforts to make electricity go one step ahead. Electricians in Quang Nam province have gradually constructed the power grid and brought electricity to mountainous areas and islands to serve all people and businesses. Mr Nguyen Minh Tuan, Director of PC Quang Nam, said that when it was re-established in 1997, Quang Nam province had only one 110-kV substation, eight 35-kV substations and 578 loading substations. The power grid reached only the centre of the town, some towns and 60 per cent of communes. Electricity was not available in six districts, 108 communes and over 176,000 households at that time. In early 2018, PC Quang Nam managed more than 7,160 km of medium- and low-voltage lines, 13 intermediate substations and 3,433 distributing substations fed by eleven 110-kV and 220-kV substations. With its tireless efforts, all 244 communes, wards and townships and nearly 100 per cent of households in the province had access to the national grid as of June 2018. The power grid has been gradually improved, upgraded and perfected to ensure safe and quality power supply. Electricity supply has been strengthened in all fields, helping change people's lives. In addition, the firm has invested a lot to bring electricity of high quality and reliability to Chu Lai Open Economic Zone and various industrial parks. Currently, as many as 413 investment projects in the province are guaranteed reliable power supply. In 2017, despite natural disasters, PC Quang Nam still ensured safe electricity supply for increasing demands in the province, especially during big events such as the 20th Re-establishment Anniversary, Quang Nam Heritage Festival and APEC Vietnam 2017. In addition, the firm continued to fulfil the goal of raising power supply reliability, improving power quality and customer service by repairing the 22-kV power grid, completing the deployment of RF-Spider technology in Hoi An City and in other districts and towns to automatically read remote meters, helping customers track their daily power use, and adopting electricity bill payment via banks. With continuous investments, in 2017, commercial electricity output of PC Quang Nam was over 1.6 billion kWh, an increase of 8.55 per cent against 2016, of which electricity for industry, trade and service accounted for over 90 per cent. The power loss rate was 5.53 per cent, 0.12 per cent lower than the assigned plan. Revenue reached VND2,695 billion in the year, up 9.87 per cent over 2016. In customer service, PC Quang Nam continuously improves its procedures and records, facilitates businesses and people to access electricity services in a timely manner. The company flexibly offers three forms of power access to customers: Directly contacting the customer care department, registering via the website, and dialling the customer care centre (19001909). Clients only need to provide information about electricity demand and the company’s staff will actively contact to give instructions and carry out necessary procedures at the former’s addresses. All power supply requirements are settled under the single-window mechanism, thus helping reduce their visits to the power company. Since early 2017, the time needed to process procedures registering the medium-voltage power supply has been shortened to only seven days (three days less than the regulations of the Ministry of Industry and Trade) and power access procedures are reduced to two (one procedure cut). In addition to its central task of power supply, PC Quang Nam also communicates on economical and effective consumption of electricity, coordinates with the Department of Industry and Trade to inspect power consumption by local businesses to have appropriate orientations and solutions for them to save electricity, works with the Provincial Labour Federation to carry out extensive electricity saving programmes in industrial zones; and launches “Electricity saving in the office”, “Electricity saving at home” among other electricity saving movements across the province. As a result, the annual electricity savings are considerable. In 2017, the province saved 29.8 million kWh of electricity, equalling 1.84 per cent of the total commercial output. To reach the peak of success, PC Quang Nam always attaches importance to building and promoting the spirit of solidarity and unity to construct and uphold the progressive and dynamic culture of PC Quang Nam. “We clearly defined that the development content of the new era is supplying enough electricity of rising quality with better service. This is also a good preparation for PC Quang Nam to enter the new era of competitive electricity. Accordingly, we are focusing on building a “transparent, responsible” electricity trading environment that harmonises interests of buyers and sellers and makes electrical products best serve people,” Director Tuan said. With its above strategic direction, Quang Nam electricians always strive to build up PC Quang Nam to contribute more to local socio-economic development and extend the “lighting up the trust” journey of the power industry to investors and all people in Quang Nam province. From now until 2020, PC Quang Nam will closely follow local socio-economic development plans to work out electricity supply planning. At present, the firm is carrying out Decision 1100/QD-BCT dated April 3, 2018 of the Ministry of Industry and Trade on approval of Quang Nam power development planning in 2016 - 2025 and to 2035 or the 110kV power system development plan. Accordingly, the power distribution network will be developed in line with local socio-economic development orientations; ensure the increased quality and reliability of supplied electricity; gradually modernise electricity grids and adopt smart grids; step up information technology application to power grid management and operation and improve the quality of electricity customer services. In 2016 - 2020, the average growth rate of commercial electricity of PC Quang Nam will reach 12.1 per cent per year.